As the New Year 2016 is coming, GN Solids Control would like to say Happy New Year to you all. Hope all GN friends in the new year will have a happy family and a good heath. With the New Year 2016 arriving, GN Solids Control is another one year older. GN has growing from a small company to a modern factory which as many certificates such as API, HSE, DNV etc, all of these cannot be completed without the great help and support from GN friends. We’d like to give our since thanks to you all. 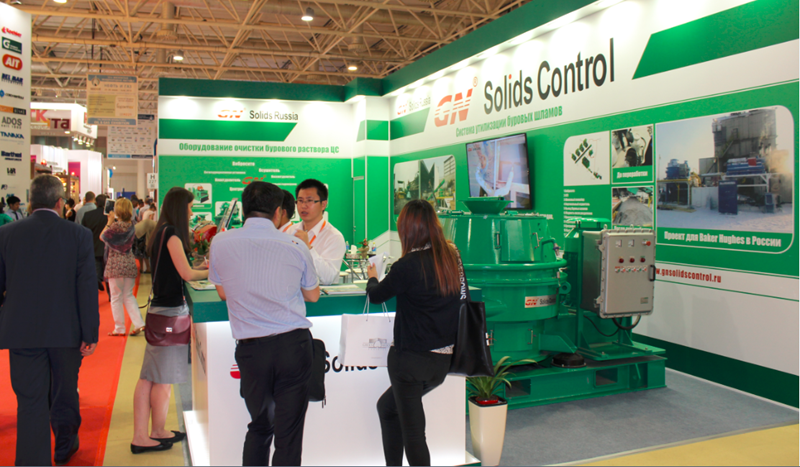 In the past 2015, GN Solids Control kept a fast growth although the oil price is sharply cut down from the top 130 usd/barrel to 35 usd/barrel. 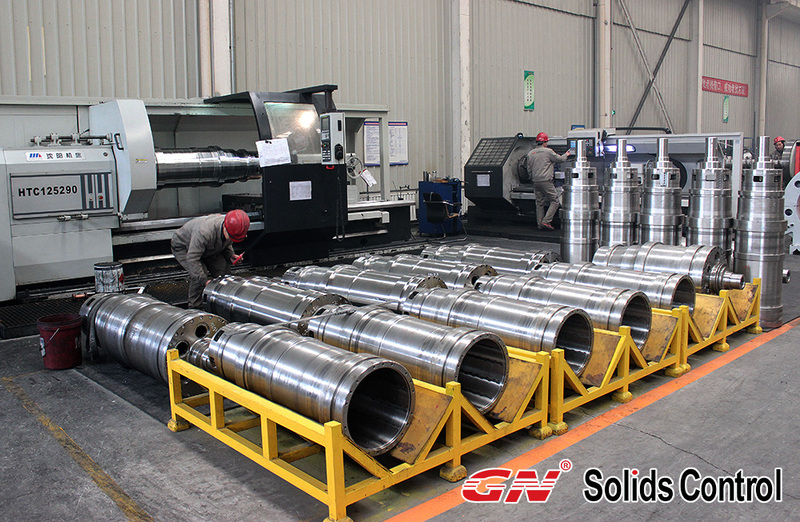 GN Solids Control equipments and drilling cuttings management systems become the first choice for many large oil and gas clients as they are trying to cut the cost. 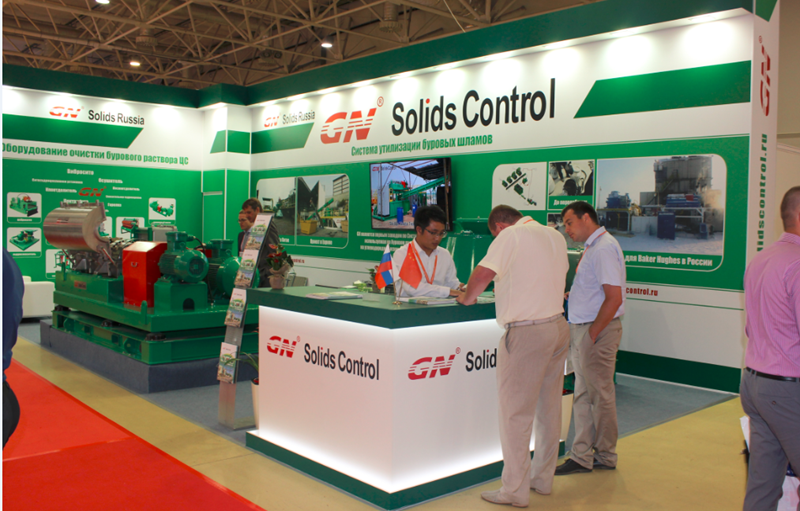 GN solids control equipments has won many large projects when completing with world famous leading companies. GN shakers, decanter centrifuges and cuttings dryers have been proven to be the best quality products with good separating performance while the price is pretty competitive. GN Solids Control now has two branch companies: GN Solids America LLC which is located in Houston Texas and GN Solids Russian in Moscow, Russia. With the fast development, GN Solids Control will open another warehouse in Middle East. GN also has some partners working in over 60 countries to provide technical support and after sales service for GN. GN Solids America LLC is registered in 2013, and started its real business in 2014. Although GN Solids America LLC is still a fresh company in North America, with the large support from GN Solids Control, now GN Solids America has a large warehouse, which can stock over 20 sets of shakers, mud cleaners, decanter centrifuge and cuttings dryers. All the spare parts for those equipments are also in Houston warehouse for fast delivery. The great show MIOGE 2015 show in Russia just ended last week, GN Solids Control Co. Ltd won great success in this wonderful ceremony in Russia. For the decanter centrifuge and cuttings dryer that exhibited in this show, many visitors showed interests and would like to try them in a proper time. This year, GN Solids Control shipped advanced cutting dryer and decanter centrifuge to attend this show. Many large clients have been using GN equipments for a long time, and they are pretty satisfied with the working performance and treating capacity. In end beginning if this year, there were 4 sets of drilling waste management systems including the decanter centrifuges, cuttings dryers, skid, middle tank and screw conveyors using in Russia under the especially cold weather. All these 4 sets were purchase by Baker Hughes for the OBM (oil base mud) separating. Even the temperature was merely minus 40, all GN decanter centrifuges, cuttings dryers and screw conveyors were working perfectly well. GN decanter centrifuge and cuttings dryer won great success in the Russia market, and now we have many other successful projects that are operating in Russia. 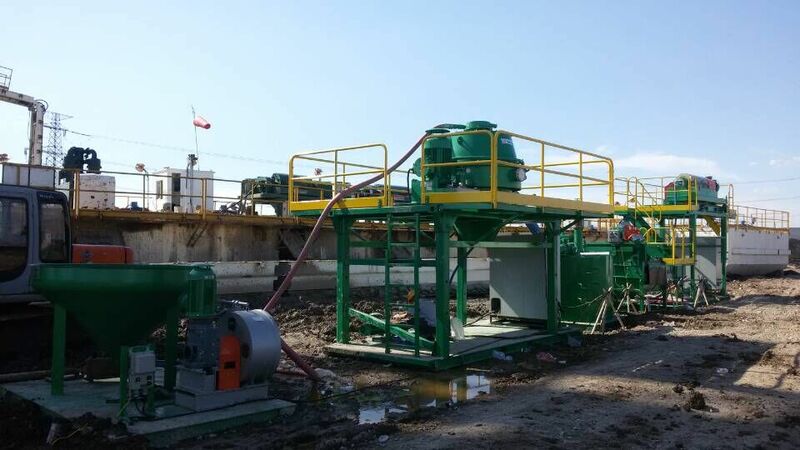 For the other countries, such as America, Canada, Mexico, GN solids control and drilling waste management systems are also well known by most of the drilling companies. The decanter centrifuge in this show is GNLW363CG, which is the C version. Compared with the former B version, the centrifuge has upgraded some parts for better separating results and larger treating capacity. Besides, the cuttings dryer is a more compact new design with the rotating speed reach to 1200RPM. GN has provided many sets of cuttings dryer in Chinese market and global markets. Just several days before, GN Solids Control finished the manufacturing of 6 sets vertical cuttings dryer in Beijing factory. And those dryer will be sent to Algeria for the OBM treating. GN Solids America always has cuttings dryers and decanter centrifuges available in Houston warehouse, welcome to reach us for more info. GN Solids Control has been provide drilling waste management systems for oil base mud, water base mud, synthesized base mud for many years. 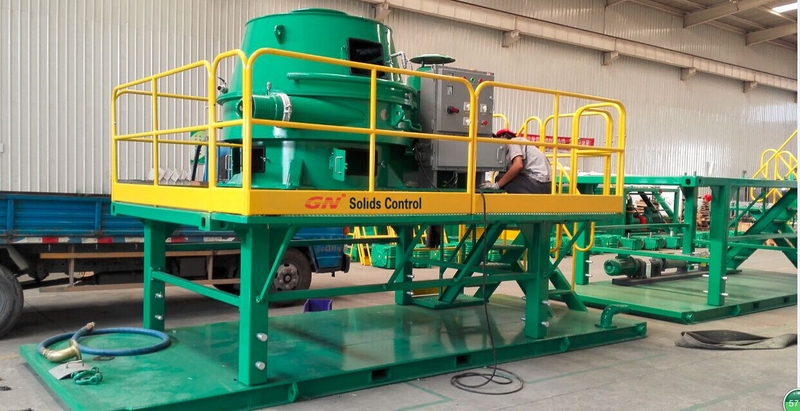 During the past five months, GN Solids Control has provided over 30 sets complete drilling waste management systems for domestic market only, which has totally proved the excellent working performance and good quality for GN equipments. As the Chinese market has a restrict rule for the drilling mud, more and more companies are trying to find a suitable solution to for the drilling cuttings. Now GN get more and more orders from Chinese market than before. And GN has also convinced domestic clients with many global successful projects in over 60 countries. Many large clients have been using our drilling waste management systems, Shell are using GN drilling waste management system for Shale gas exploration, Baker Hughes are using 4 sets of drilling waste management systems in Russia for OBM treating. GN equipments are also widely used in Europe, Africa etc. For GN Drilling Waste Management Systems, GN has variable speed and fix speed type can be chose. The drilling waste management system is including decanter centrifuge, cuttings dryer, screw pumps, skid, mud tank, screw conveyors etc. Most of the parts can be customized based on customers’ demands. GN also has standard type which can be provide in a short period. In order to serve clients much better, GN Solids Control invested GN Solids America which is in Houston, TX. 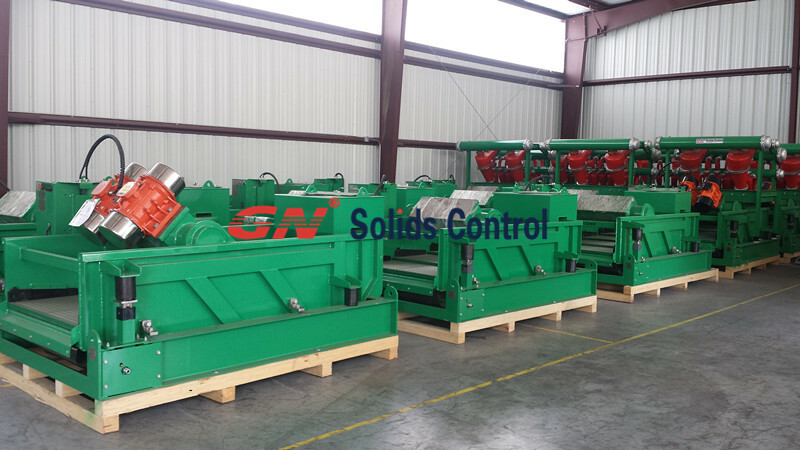 GN Houston warehouse has some decanter centrifuges, cuttings dryer and some other solids control equipments storage in Houston. GN shale shakers, mud cleaners (desander, desilter), GN Hi-G shaker as well as some centrifugal pumps, jet mud mixer, mud gun, positive displacement pump etc are always available in Houston. Some spare parts such as bearing, pulley, inlet pipe, discharge ports, shaker screens can also be arranged for delivery from Houston.